Update: Odd & Ends Now Available on Tapas! Update: It’s coming, I promise! Hey, so I didn’t put up an episode this week, and I probably won’t next week either, but it’s not because I’m being hard on myself this time. In fact, I’m pretty excited about the future of Odd & Ends, and I have a lot of fun ideas for the next few storylines. Some will be funny, some will be less funny, and some will take us away from Skymoore for a bit! However, I am but a human living in a human body, and that human body has recently been hit with some major sickness. Nothing serious, just annoying, and my writing is suffering a bit. That, and I am building up a buffer. And there’s another, more exciting reason for the delay that I don’t want to talk about yet! But the end of Recursion will be up relatively soon (two more parts and an epilogue), and after that, we’re gonna go away from Donovan for a bit and focus on some of the side characters. Lastly, I just want to thank Stable, J. Ander, and Hazel for reading my stuff and keeping me motivated. You guys are cool! As I write this, I’m feeling a little defeated. 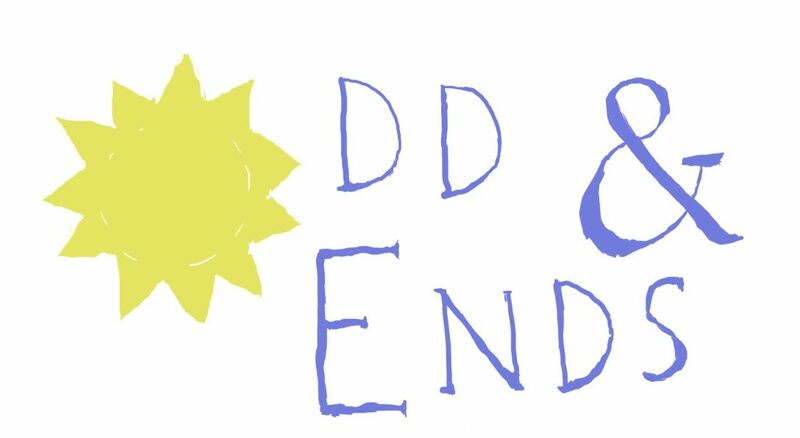 Odd & Ends was conceived as a twice-weekly series, which then became a once-weekly series because these stories got longer than I intended, and now, with the acquisition of a new job, even that has become a little difficult for me. Recursion, Part One was written kind of on autopilot, and I’m not very happy with it. Same can be said for Recursion, Part Two, which I am currently writing. I could get it out tomorrow…but it probably wouldn’t be as good as it could be. As of now, I am aiming for Wednesday. After that? I intend to slow down a bit. I think I can actually knock two out next week because the stories I have in mind are on the short side (and they are Karessa stories, which seem to flow the most naturally for me). For the rest of December, updates will simply come whenever I can get around to it, because I want to spend the month fleshing out my ideas for the future, so that I don’t have to do something like this again any time soon. Anyways, that’s all. I can’t thank you all enough for your readership! More good stuff soon! Update: Support Odd & Ends (in a few clicks)! Hey world, it’s me, Jordan, the writer of this collection of tales. First of all, I want to give a great big genuine thanks to everyone who reads this. Odd & Ends is one of the most enjoyable projects I’ve ever worked on, and to see others enjoying it as well makes me very happy. I’ve got a lot of story to tell, and as long as you keep reading, I’ll keep writing! Right, the point. I’ve posted Odd & Ends on the Web Fiction Archive. If you like my stuff, head there and leave a review. It’ll help increase its visibility and attract readers, and it’ll just make me happy and isn’t that the greatest gift of all? Seriously though, thank you all a great deal. Now back to the fun stuff. The next one’s spooky!